YIPPEE we have so much goodness to share with you all from the Indie Wedding Show! This year the lovely ladies at Elegant Productions organized the most lovely bridal inspiration event! This just a small selection of all the talented local Halifax wedding vendors! Prepare for a small sample of the prettiest things in Halifax! First off we The Blossom Shop! Penny really knows her flowers. I literally could spend an afternoon just studying her arrangements. So many flower combinations and texture for days! Definitely check her out! 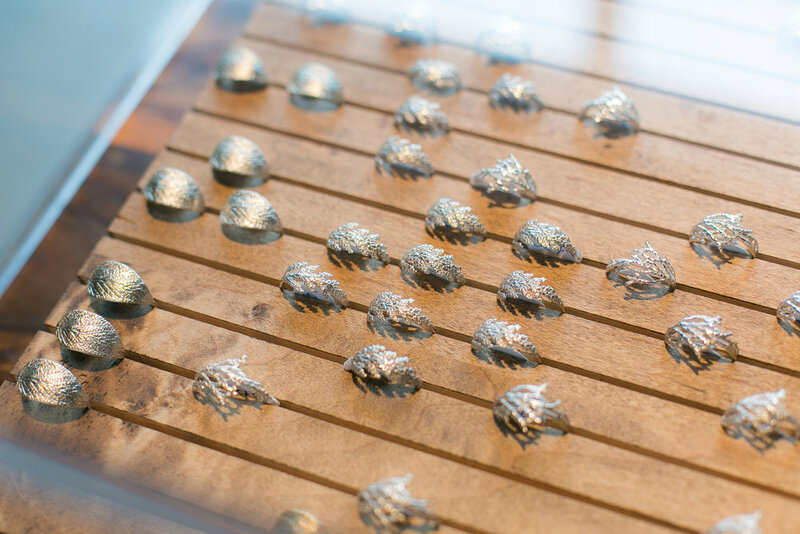 Locus Art Jewelry is responsible for these little works of art! I love every single piece Emily creates for her artisan line :) What a lovely addition these rings and necklace would make to any wedding! Here we have the most beautiful dresses made but Katrina Tuttle Bridal! The amount of love, attention and detail that goes into each every dress is amazing. The fabrics she uses are oh so soft and have beautiful organic movement. Katrina is an artist with vision, creativity, passion and drive. I 100% recommend getting the dress of dreams made here in Halifax! Up next we have Chelsea Lee Flowers! Chelsea is nothing but a sweet ray of sunshine and I believe her work shows that! Everything Chelsea Lee creates is nothing less than awe inspiring. Those lush dreamy florals are what dreams are made of! Also, we have the most beautiful tables from Orcher and White Halifax Harvest Tables! You will a few of these beauts peppered throughout the images! A must-have for anyone who loves handcrafted rustic wood tables! Can't stop swooning! Here we have Amanda from Humble Burdock! 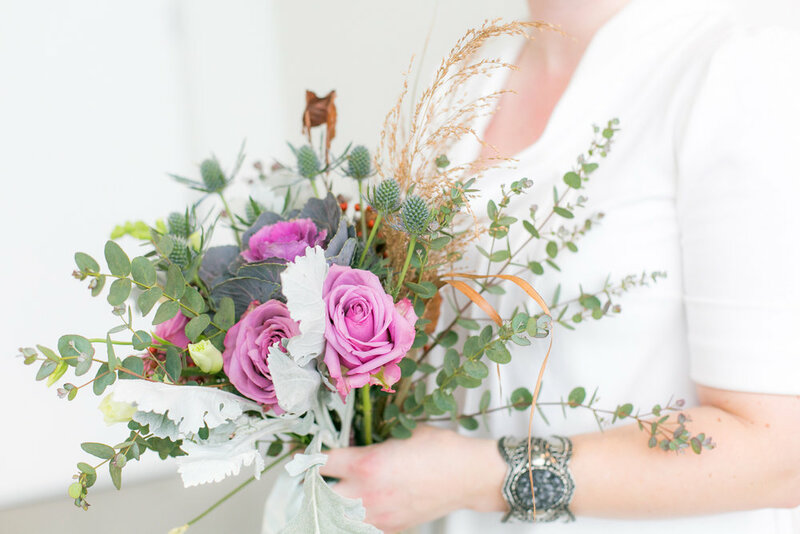 Amanda is an amazing florist with a sense of style all her own. What I love about Amanda arrangements is that they are wild and free! So much life in every arrangement. 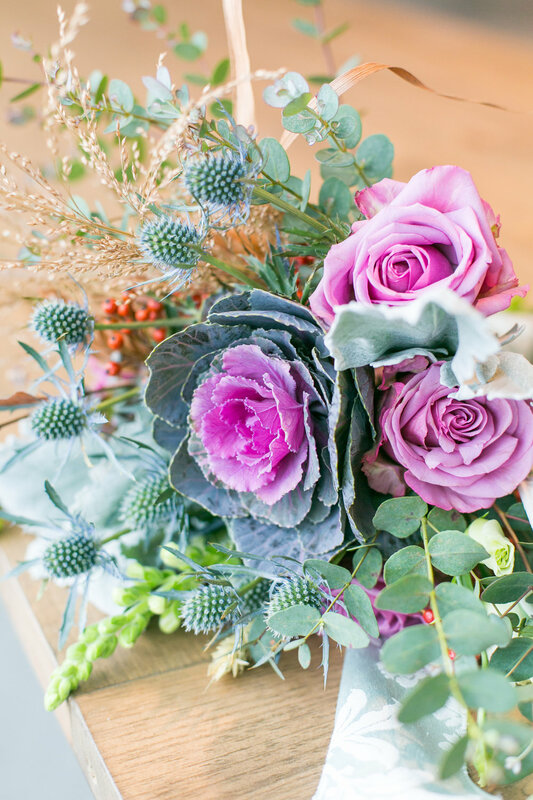 Check out this bouquet with ornamental kale! How cute is that?! Here we have Kaitlyn of Elegant Productions and one of the planners of The Indie Wedding Show. After knowing Kaitlyn for a number of years there's nothing this girl can't do. She has amazing work ethic and a heart of gold. She is equal parts awesome, talented and inspiring. After 2 minutes with Kaitlyn you will swear you were friends forever. I simply can't recommend her and her team to create the wedding of your dreams! This post is about to get 100% cuter with Henry and Ashley! Ashley of A Creative Destiny is a talented mama with mad design skills. Beautiful stationery sets the tone for your day and lets guests know all the important details! Contact Ashley to have the prettiest pretty stationery to be the icing on y our perfect wedding day. Can we talk about wedding food for just a minute?! Check out Kitchen Door Catering for some of the most delicious food. Duly Noted Stationery was there with Lisa and Rebecca and I must say these ladies know their stuff! Between them they are a duo masters of all things stationery related! Here we have Emily of the Elegant Productions team! Emily is just a gem :) She's such a hard worker and always lending a hand. This girl is organized, patient and oh so sweet. Definitely an amazing asset to any wedding or event! Here we are Hannah who is a part of the Elegant Productions team aswell! Hannah was just a dream to be a round. can't wait to get to know her better! Make Merry was there with all the trimmings! Make Merry always has the prettiest items to complete your day! I like to pretend the ladies of Make Merry have the most elaborate and exquisite dinner parties with all this finery! 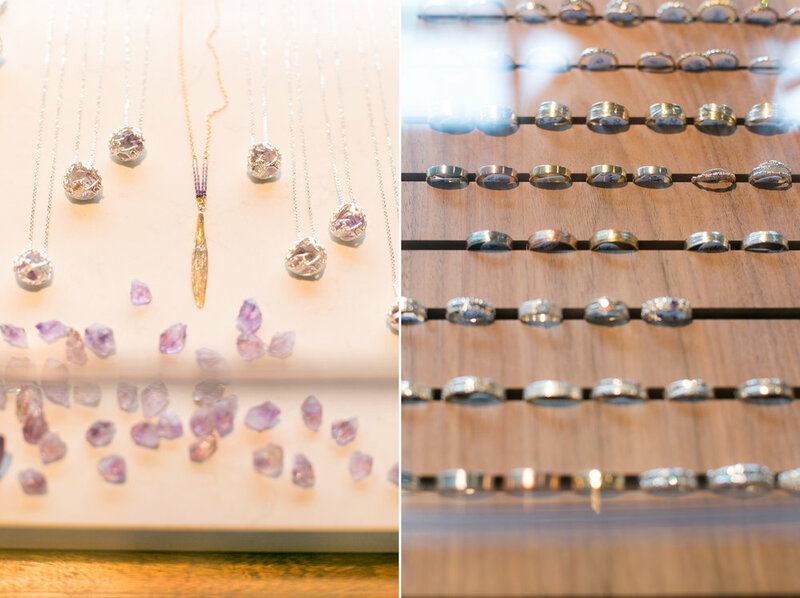 Their stunning finds will add a sense of wonder and delight to your special day! I even spy a Gateau Rose cake. This year I actually photographed my own booth. Thats right Im giving a big ol' shout to myself Chantal Routhier Photography. First I shall begin with an introduction of my best friend Lisa. For those of you who don't know Lisa she is the ying to my yang, the David Attenborough to my BBC Nature documentary (ps anyone else currently watching planet earth 2?). She is a big source of advice and love in my life! (and sometimes she even lets me photograph her). Also, the pretty florals at my booth are from Humble Burdock. Thanks to everyone who stopped by and said hello! Alright I may have gone just a little crazy with the cake pictures BUT when you see these works of art you won't blame me!! Just Iced Custom Cakes have the prettiest sugar flowers you have ever seen! Plus Meaghan is just the best! Last of all but not least of all we have the epic DJ powers of True North DJs! Scott can single handily make your wedding dance floor the most happening place! His beats will make the epic dance-offs that ensure the best part of your special day! Let's be honest you want to throw the best party of your life and Scott can make it happen! Thanks popping by and checking out the post. Remember to show some love to all the vendors above and give' em a follow!